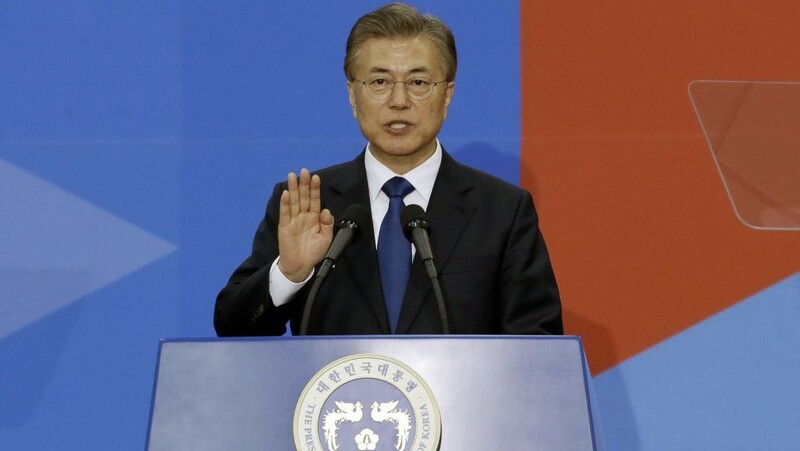 South Korean President Moon Jae-in will speak to parliament today in a bid to convince lawmakers to approve $10 billion of additional funding to create 810,000 public sector jobs. With unemployment at 4%, jobs don’t appear to be a critical issue, especially considering the South Korea’s slowing economy. Growth has dropped from 3.3% in 2014 to 2.8% last year and is forecast to fall further as regional competition and an ageing population hit. But dig a little deeper and cracks begin to emerge: the jobless rate of those aged between 15 and 29 sits at 11%—almost three times the national average. Moon received strong support from young voters, who felt his plan for more public-sector jobs represented their best hope. But the new administration has failed to fully articulate how it will fund the $10 billion needed for new jobs, something Mr Moon is expected to address in today’s speech. Vague references to “strengthening taxation for the rich” and “higher fines for unfair practices” suggest South Korea’s ultra-rich and large companies are likely to foot the bill. Moon will have to be convincing. His party lacks the parliamentary majority needed to pass the spending bill itself, and both conservative parties (Liberty Korea and Bareun) appear to oppose the changes, meaning the president will have to rely on the centrist People’s Party.